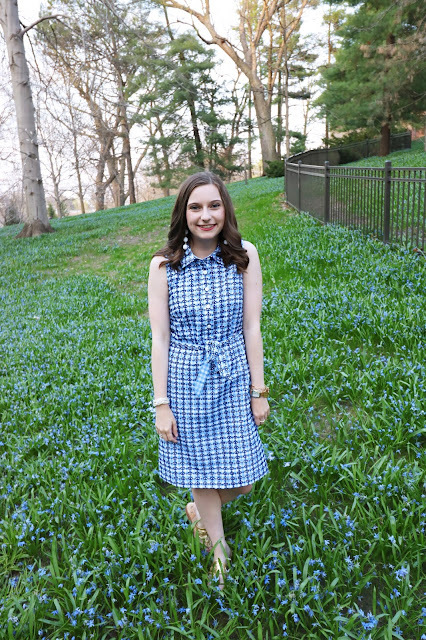 Sew Cute: Back to College: 5 bags you need to bring! Its that time of year again, back to school time. This can only mean new school supplies, an obnoxious amount of "back to school" ads on TV, and getting back into the swing of actually having homework. Well there is one plus side to going back to school and that is back to school shopping! From school supplies to clothes I think back to school shopping is my favorite time of the year. It means new clothes, new fall trends, and colder weather which means more layering (and less sweat)! But, going to college is a whole new ball game when it comes to what you will need. Your pencils and folders are the least of your worries when shopping for college. So, I decided to make a whole new series called Back to College. In this series I will give my tips and tricks for college life. From what you will need to advice on how to survive! 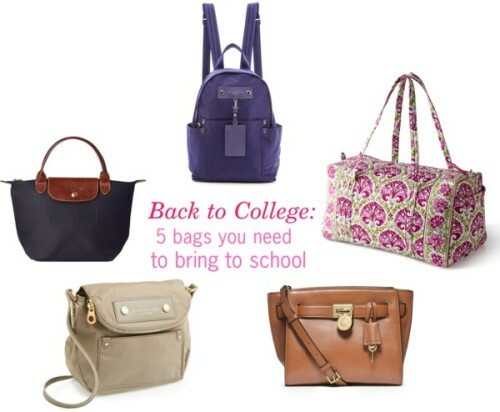 My first post in this series is 5 bags you NEED to bring to college! Some of you may not be bag or purse gals and I totally get that (well not really but I'll roll with you). However, there are some bags that you need to get to be a successful and fashionable student. A backpack: Duh! A backpack is a clear essential and must have for college. If you think you are going to carry around a tote bag all year you are in for a rude awakening. You may think your new Macbook is pretty light. Maybe it is, mine sure isn't, but even so you need a backpack. I had to carry textbooks to class sometimes everyday. The last thing you need to be doing is lugging a bunch of books in a tote bag or large purse. Trust me on this one its not going to work. Backpacks are for function, sure there are cute ones out there, but you need one that is going to get you through hell (aka finals week). I've had to carry text books, sewing supplies, and my laptop all at once for a whole semester. I would probably have been found dead on a sidewalk if I didn't have my backpack. IN OTHER WORDS just buy a backpack. Everyone else will have them so its no big deal. A duffle bag: I learned a lesson the hard way, you should always bring a duffle bag to school. I love this Vera Bradley one because you can easily fold it up and shove it in any spare space that you have. Going home for a weekend or even a week is kind of hard if you don't have a duffle bag to pack your stuff in. Also, these are ideal if you are visiting a friend at another school or for overnight formals. They fit A LOT of stuff and they are pretty light. Small crossbody: A small crossbody bag is ideal if you just want to run to the dining hall, grab a movie with friends, or if you want to go to a party and travel light. Most of the time all you need is your school ID, money, and your phone. So, small purses like this one are great to use when you just need the basics. Large crossbody: I always carry my Marc Jacobs large crossbody bag when I go out. I like having what I need with me at all times. So, a bigger crossbody is great if you are like me. You can fit what you need but it can stay around you all night. A tote: A Longchamp or any other tote is a great bag to have on campus. Some classes you might need hardly anything. Just grab your tote and you are good to go.